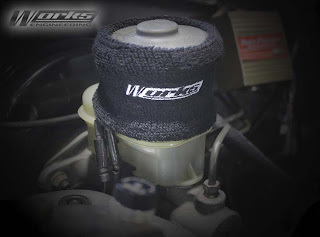 These brake and clutch reservoir cover is made from fireproof material and features an embroidered Works Engineering logo. They absorb brake fluid that may escape from the master cylinder reserve tank when the fluid gets hot under heavy use. 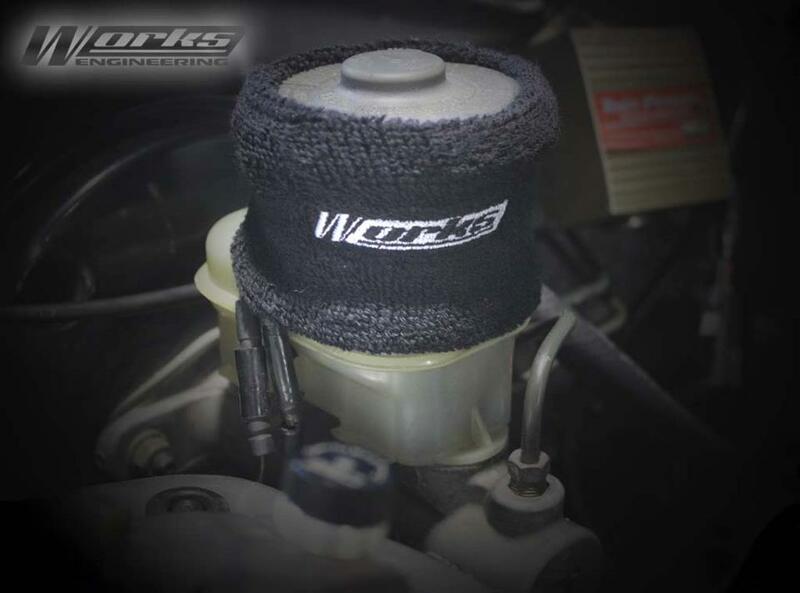 This prevents the fluid from getting all over your engine bay or on the race track.